Art or Farce? 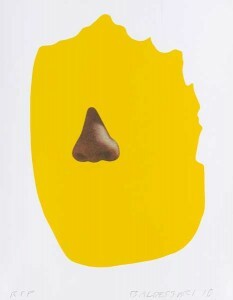 » Blog Archive » John Baldessari – Colorful Silhouettes - Is it art? Is it crap? You decide. 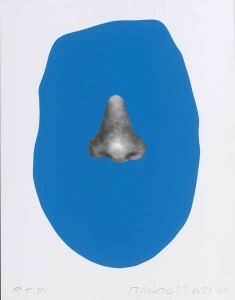 John Baldessari’s Nose/Silhouette series may not be as dramatic as his cremation project, but they paint a solid represenatation of Baldessari’s work thus far. 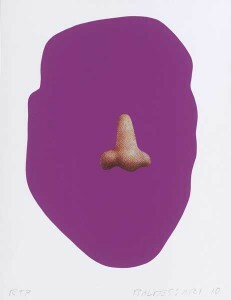 Baldessari experiments with casting images in solid color silhouettes, leaving details to be filled in by the mind’s eye. 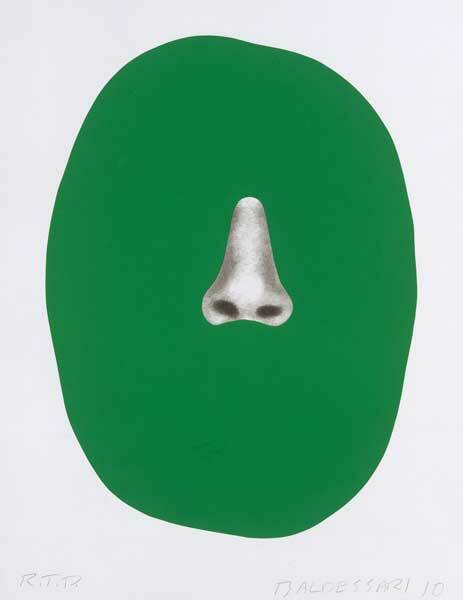 Often a work can have a lot more complexity when the details are left out rather than included. 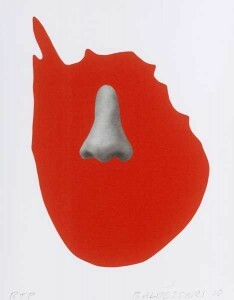 As with many of John’s silhouette groups, Nose/Silhouette focuses on a repeated subject, though never the same image between the pieces. What stands out among these silhouettes is that the hair of the models obscures the silhouette but does not have shape itself in the image outside of it’s intersection of the solid color. The resultant image becomes an exercise in creativity and a subconscious attempt to recreate the image despite the mind lacking any useful background information of the photo itself. Prints of Baldessari’s Nose/Silhouette series are available in a limited edition of 50 from Gemini G.E.L. How do silhouettes hold up in the field of visual arts? Your opinion counts, make yourself heard below. Images courtesy of Gemini G.E.L. Video interview of John Baldessari at The Met, courtesy of Tate Modern and Tate Media. 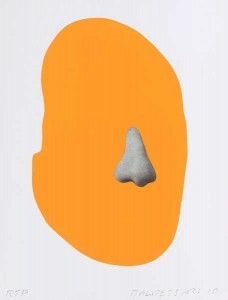 This entry was posted on Friday, April 15th, 2011 at 4:25 PM	and is filed under Lithograph, Photography, Screenprint. You can follow any responses to this entry through the RSS 2.0 feed. You can leave a response, or trackback from your own site.